Chuck was born in Oakland, California on June 9, 1924, and passed away on November 12, 2018 in Santa Barbara, California at the age of 94 years. A longtime resident of the Santa Ynez Valley, he farmed, ranched, and shod horses, he was President Ronald Reagan's horse shoer. Chuck served in the United States Army in North Africa, India, and Burma. 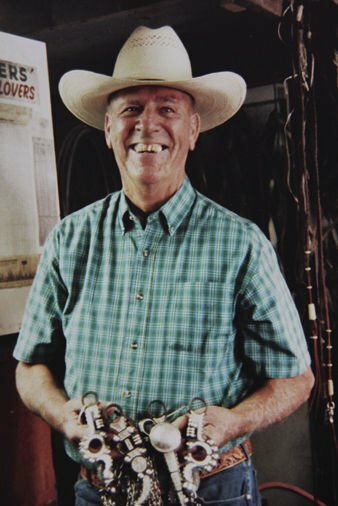 He was best known in most every state and overseas for his handmade bits and spurs. Chuck was preceded in death by his loving wife Joane and daughter Susie. He is survived by his son Clint. There will be a Celebration of Life on March 23, 2019 at the Santa Ynez Valley Equestrian Center.